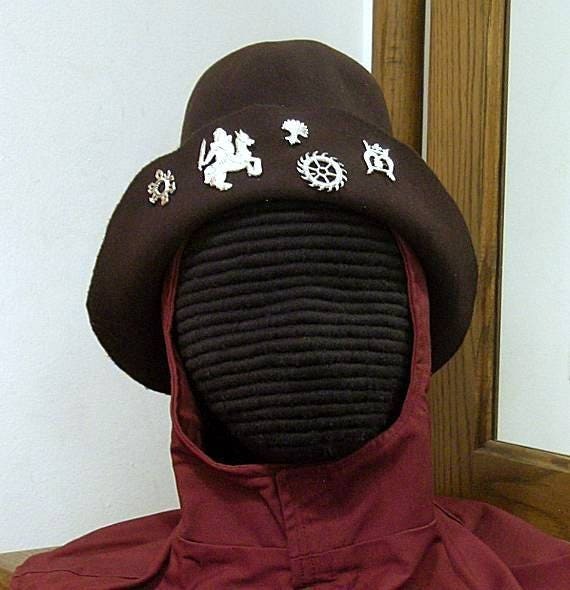 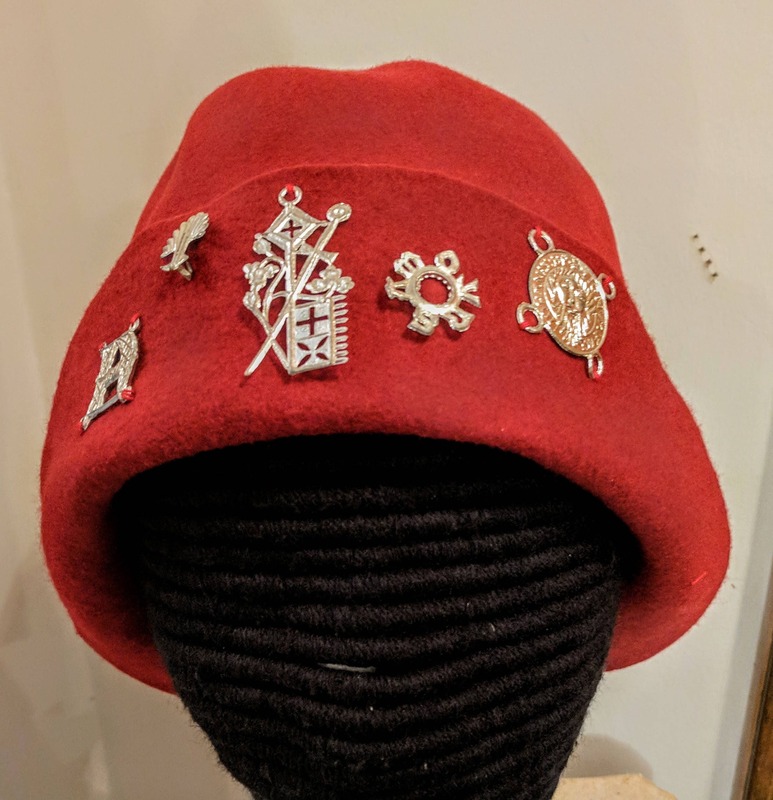 This style of hat was very popular during the 1400's and often, those that went on pilgrimage worn their souvenirs on it to boast of their travels. 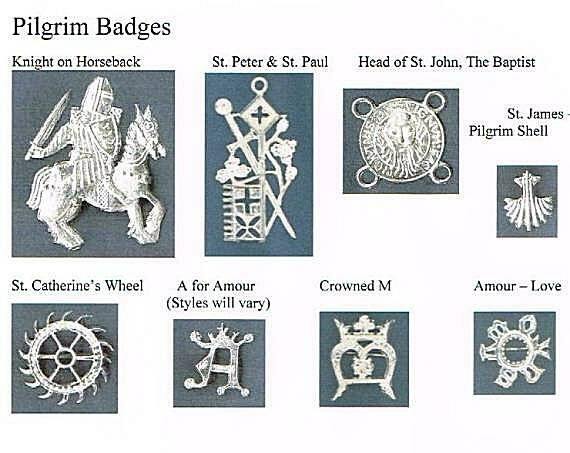 Pilgrim badges were also sold by peddler's so you could get one and say you went on pilgrimage whether you did or not! 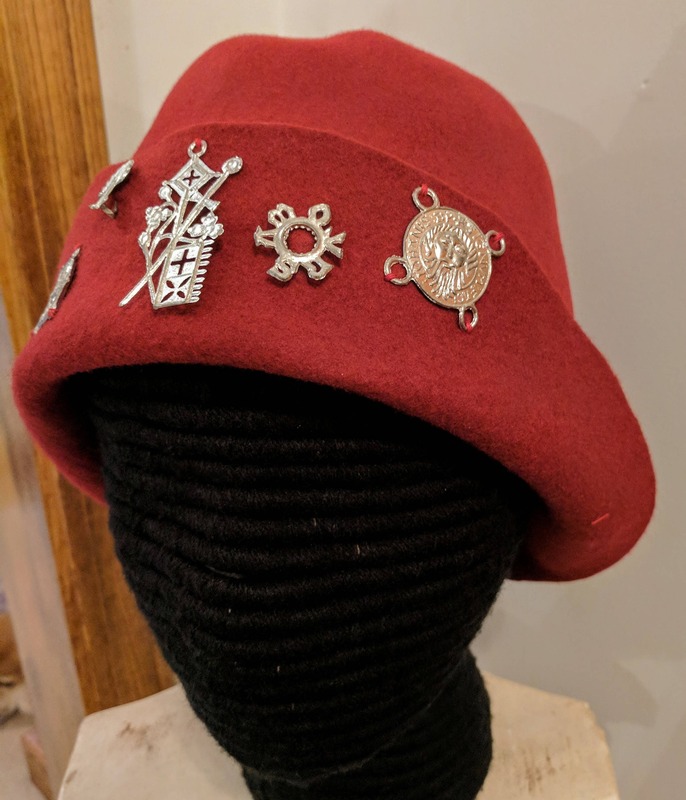 We have added love badges to this one because they were popular and could be bought at faires, carnivals and from peddlers as well. 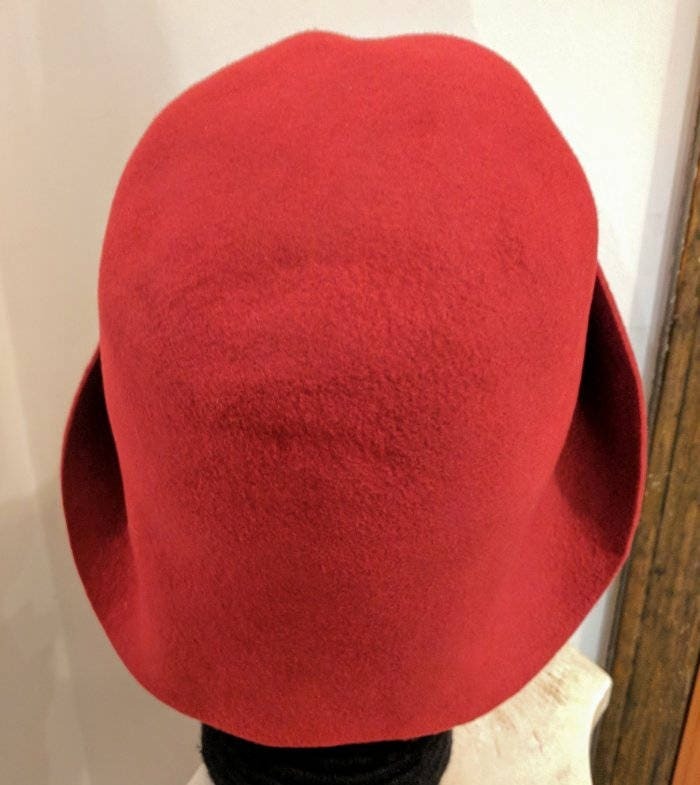 Actual color is a darker red and not this bright!